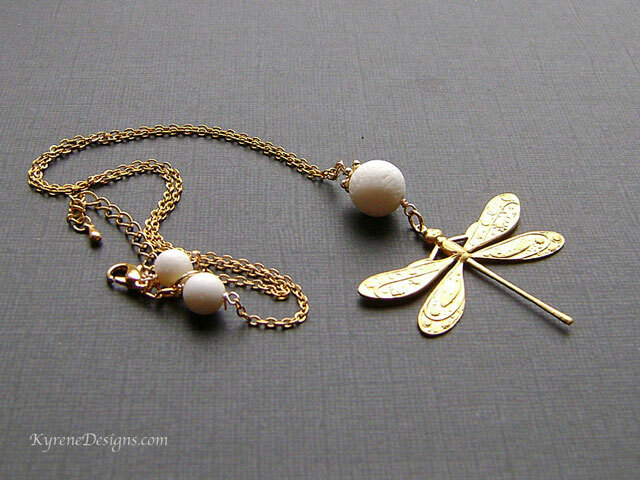 A stunning golden dragonfly with fine detailing sits with cool white coral on a gold plate chain. 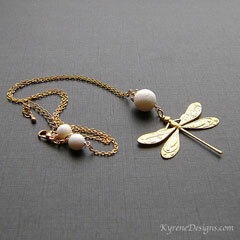 Dragonfly pressed in brass from a vintage design. View our materials page for more information. Only sustainable coral is used.